I sometimes ask this question when looking over a house, which always tells a story about those who live there. And once I’ve explained the mildly odd get-up of the question, calculating the answer is usually pretty easy. 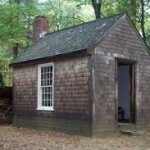 Henry Thoreau’s famous house offers convenient division with its zero to the right of the 5 to the right of the 1. One hundred and fifty square feet, into which he packed two years of living that brim still from the book that is their record. Seasons as footage – we begin, if lucky, in a like space. 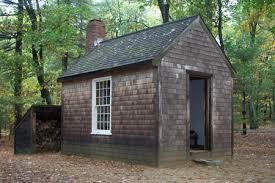 My boyhood room ran a few feet grander than Henry’s Walden house, but only a few. College was, of course, crammed into tighter confines. Lucky to be there, for sure, but what an odd narrative puzzle, sharing two small rooms, which summed to one Henry, with two other late teens intent on the declaration of self. No wonder so many burst so excitedly from school in search of apartment #1…which probably still contained roommates, but also a room of one’s own. My father-in-law just visited, pressing on into the amazement of his 97th year, lives now in a Henry and a half. He says it is ample. His rooms are arranged around a large chair from which he can survey those years, and in which he can read the live screen of his Kindle. “This is all I need,” he says. 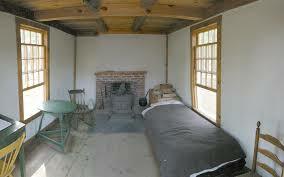 And in his phrasing I hear the reverberation of the Henry-word that shaped the square footage of his life – necessity. What are your necessaries? A good question at anytime, but one especially strong at year’s end and advent. One contemplated, perhaps, in a favorite chair set in whatever number of Henry’s you inhabit. Here’s to a clear, well-contained new year; may good light appear at your window.